…the good news is that it is for a really great reason: we are organising the very first PortoPhotoFest! 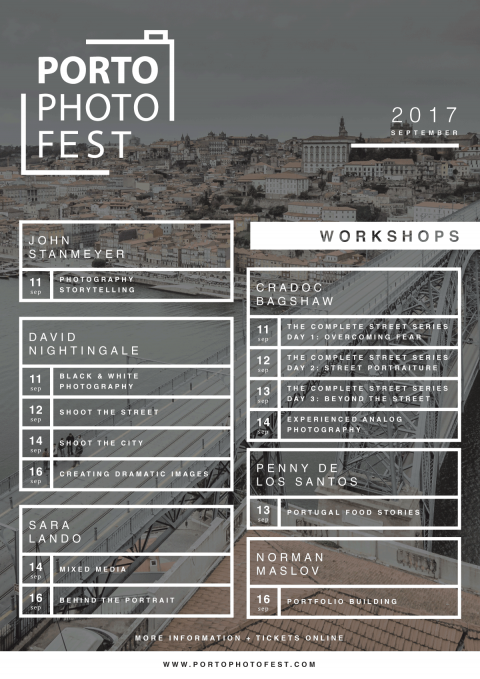 As the name implies, the PortoPhotoFest is a photography festival based right here in Porto, in the heart of the UNESCO World Heritage Center – oh yay! There is a reason this town once again won the Best European Destination Award for this year, and we want to show it to the whole world. We also have an amazing line up of instructors, some of which have never been to Porto before: John Stanmeyer, Penny De Los Santos, Sara Lando, Norman Maslov, David Nightingale, Pedro Do Canto Brum, Frederico Martins and Cradoc Bagshaw. HOW GREAT IS THAT LINEUP?! I was also recently interviewed by Ibarionex Perello of The Candid Frame to talk about life, career choices, and how the Porto Photo Fest came to life. If you’d like to know how this whole adventure started, click here. Also, don’t forget to subscribe to the podcast: Ibarionex is not only a great conversationalist, he’s interviewed pretty much everybody in the photography world! 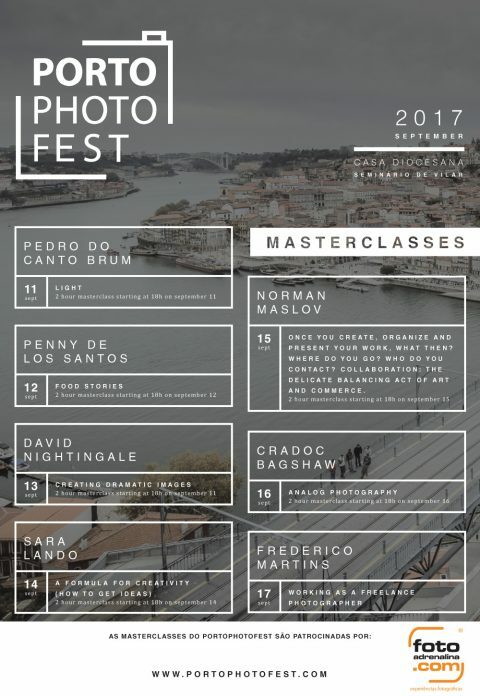 But back to the PortoPhotoFest: these are the event calendars for the Masterclasses and Workshops. To know more and book your places, just pop over to the main website. We will be there in September. Will you? Come and say hi!